Join us April 6 for our Ladies Seminar. This year registration is online and you now have the option to pay online or choose to pay by check or cash at the door. Click on the registration button below. Sonya Sumpter has served with her husband, Don, at Landmark Baptist for over 33 years where he has been the Senior Pastor for 12 years. 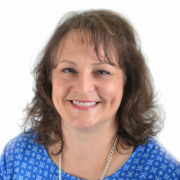 Sonya serves serve in the ladies’ ministry, children’s curriculum, and music ministries. She also works in administration, admissions, and accounts receivable in their Christian school. We are so thankful to have her as our keynote speaker for the Ladies Seminar this year. Workshops/First Ladies Forum—10:30 to 11:15 a.m. This seminar is geared towards ladies who are college-age and above. Please Note: No childcare is provided during the seminar; however, nursing mothers are encouraged to attend with their infant and are welcome to use the Nursery when needed. Should your child become disruptive during a session or workshop, we politely ask that you take them out of the room. Live streaming will be available in the Main Lobby and the Nursery (Infant Room). Live streaming will not be available on our FBT website during the seminar. The sessions will be recorded and made available online at a later date. Not every parent…or child…is the same, and sometimes finding the right resources for ideas and answers can be overwhelming. This workshop will provide a wide range of tips, stories, and book recommendations from dozens of authors on the topic of parenting. Workshop B—Church Ministry: Are You Involved? God desires our lives to be fruitful for Him. In this workshop, we will explore some practical ways to share Christ’s mindset and make a difference in our church ministry and in the lives around us. Are you seeking to accomplish it “all”, but failing to meet your goal of “perfection”? Whether you are single, newly married, a mom with young children, working, or retired, this workshop will teach you efficient and feasible ways to achieve ‘more with less’. Learn how to be productively busy to accomplish the most for what the Lord has called us to be, and to do. 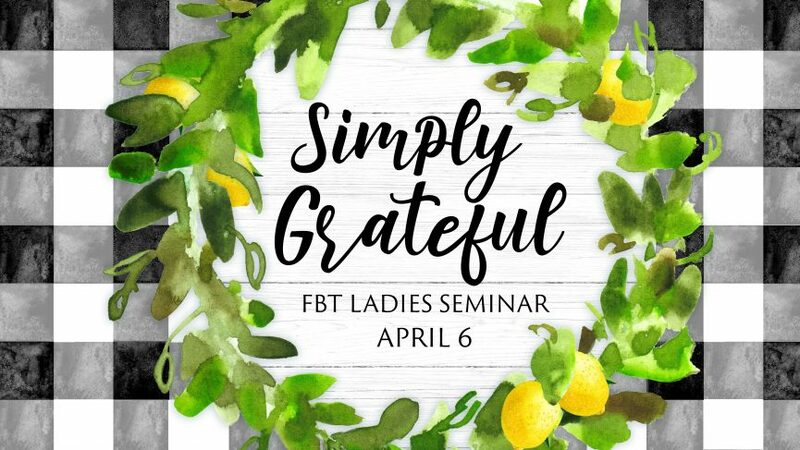 Reserved especially for senior pastor’s wives, this casual ‘meet and greet’ will feature a round-table style forum and time of fellowship, hosted by FBT pastor’s wife, Rebecca.